Abiotic stress is a major problem which limits the ability of the world’s crops to produce optimum yields. According to the International Service for the Acquisition of Agri-biotech Applications (ISAAA) abiotic stress is the primary cause of crop losses worldwide as it reduces average yields by 40%-50%. Abiotic stresses such as salinity, heat, cold, drought, poor water quality, lack of appropriate nutrients etc. accounts for 85% of all crop losses. Our range of innovative products can help alleviate abiotic stresses and lead to the production of healthier, stronger and more saleable crops. 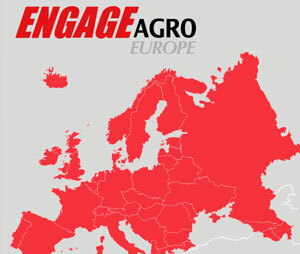 Mark Horner, Engage Agro Europe’s Commercial Director, believes that “The company has an exceptional range of bio-fertilisers backed up by first class technical support. Our MAS technology offers precise solutions to agricultural issues and will advance crop production”.